The basic equipments are few and long lasting - an ink stone, ink stick, brushes and rice paper.In addition: water colors, water containers, a palette and blotting paper. To make ink it is first necessary to put water in the well of the ink stone. Then, using small drops of water on the flat surface of the ink stone, rub the ink stick firmly in a circular motion. Since balck is so important to all Chinese painting, the quality of the ink used has always been vital. While the grinding is taking place, the painter should be thinking about the potential subject matter and composition, so that when the ink is ready, so is the artist. 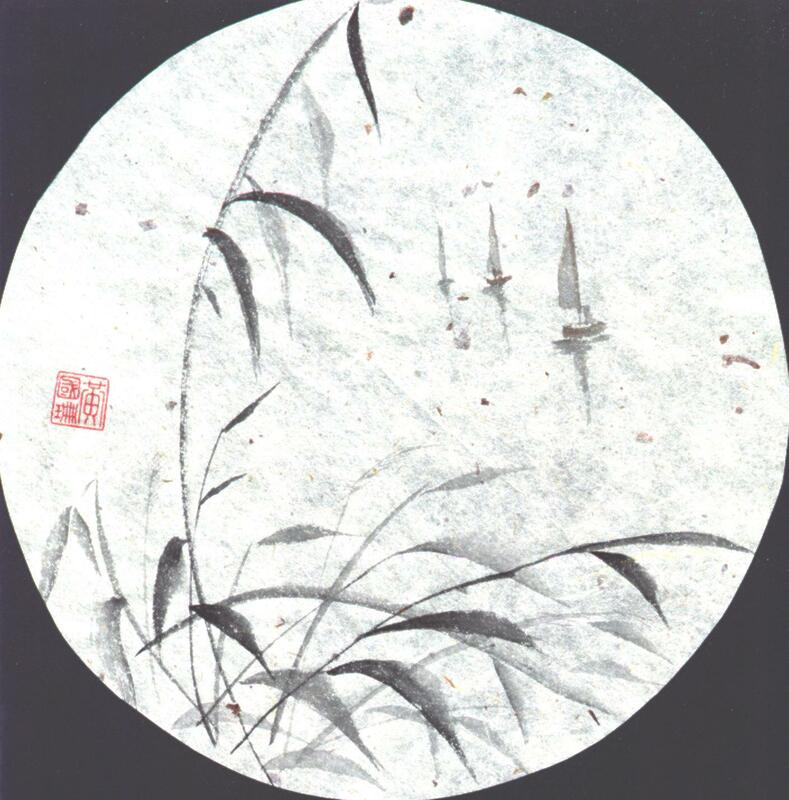 Only a Chinese brush is capable of producing all the varieties of strokes necessary to cover the full range of possibilities inherent in Chinese painting techniques. The basic essential is a brush which has been specially cut to a point.Since the full length of the brush is used to make the strokes, the size of the painting can well be dependant upon the sizes of the brush used. Handles are usually made of bamboo, a natural material which is very light and unaffected by continual immersion in water.The brush hairs, always of natural material, can be of many kinds, ranging from sheep's hair to goat's hair and even including mouse whiskers. The invention of paper in China about 105 AD brought about a revolution in style. Painting with a soft brush on paper gave artists a freedom to develop a truly personal, spontaneous style. The essence of Chinese painting - the brush stroke is shown at its best on paper , so it is very important to choose the correct paper.The vital element is different degrees of absorbency. 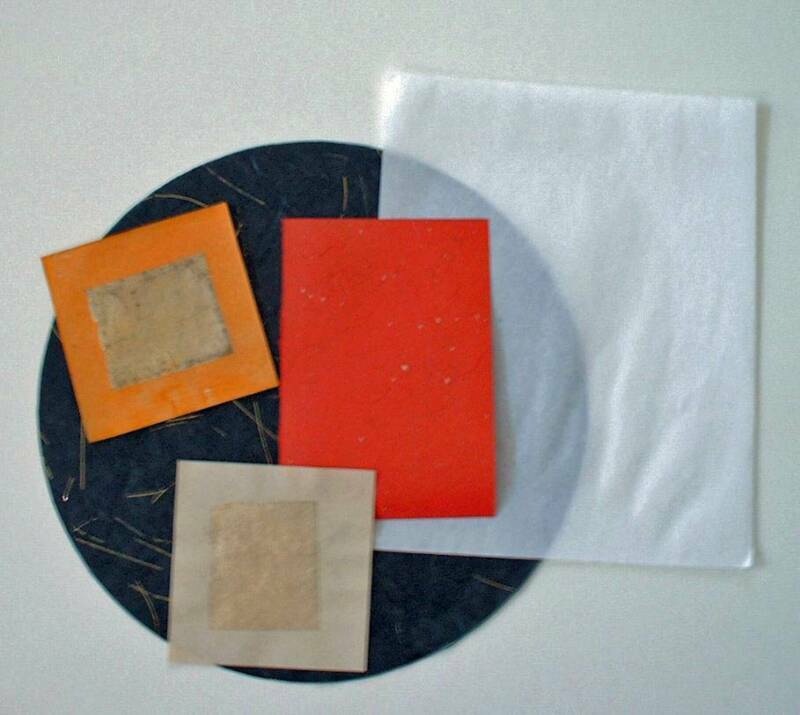 Traditional papers are rice paper and bamboo paper. IN TRADITIONAL CHINESE PAINTING, THE SAME MATERIALS, PRINCIPLES AND TECHNIQUES ARE USED AS IN CHINESE CALLIGRAPHY. 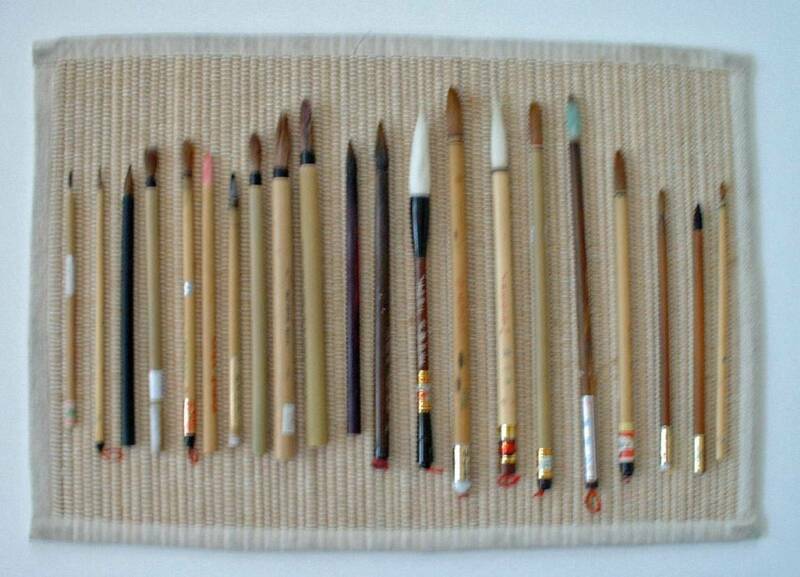 BOTHE ARTS EVOLVED GRADUALLY, OVER MANY CENTURIES, AND HAVE BEEN CALLED "THE TWIN SISTERS OF THE BRUSH". In this tradition, the blank spaces are vital to the composition, counterbalancing the weight of the brush strokes. The more simplified subjects are the most often seen and appreciated, expressing, as they do, the very essence of this art form. with its minimal use of colors,its spontaneous, seemingly effortless brushwork and its use of space. To appreciate Chinese painting, the viewer needs to have some concept of Yin and Yang, the two complementary forces or principles that are to be found in all the aspects and phenomena of life. This concept is the inspiration for both the subject matter and the style of Chinese painting. The seal placed on the painting by the artist, shows its authenticiy and originality.. Seals come in many sizes and shapes. Many seals are themeslves works of art.Carving seals is separate art requiring years of practice and knowledge of the special scripts used from ancient times. 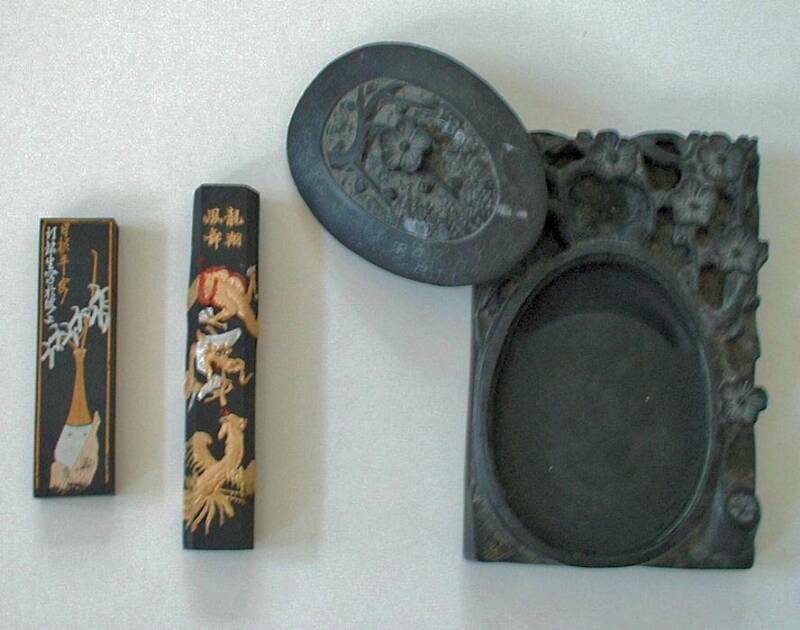 They are traditionally carved out of a variety of materials, including soapstone, ivory, jade and wood. Sometimes a seal is the artist's family name, or it maybe a painting name given by another. 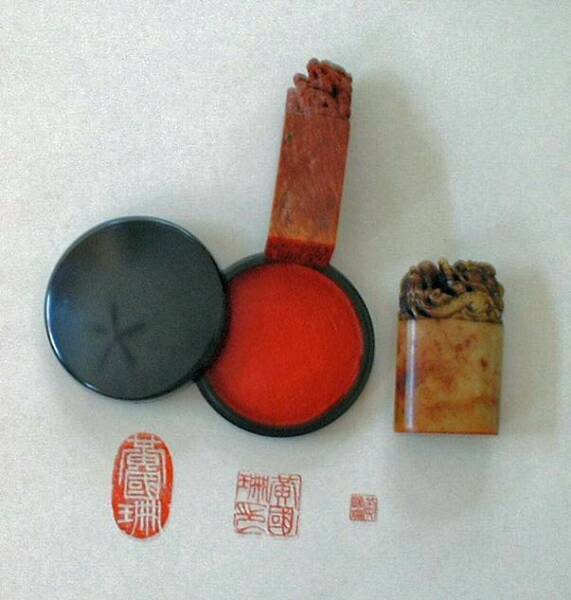 The basic two types: one with the characters on the seal carved in relief, giving red characters on a white background with a red border,cameo form, and the other being carved to produce white characters with a red background, intaglio form..